I am definitely a marketing man's dream. If I am presented with some pretty gold packaging naturally I am going to love it. 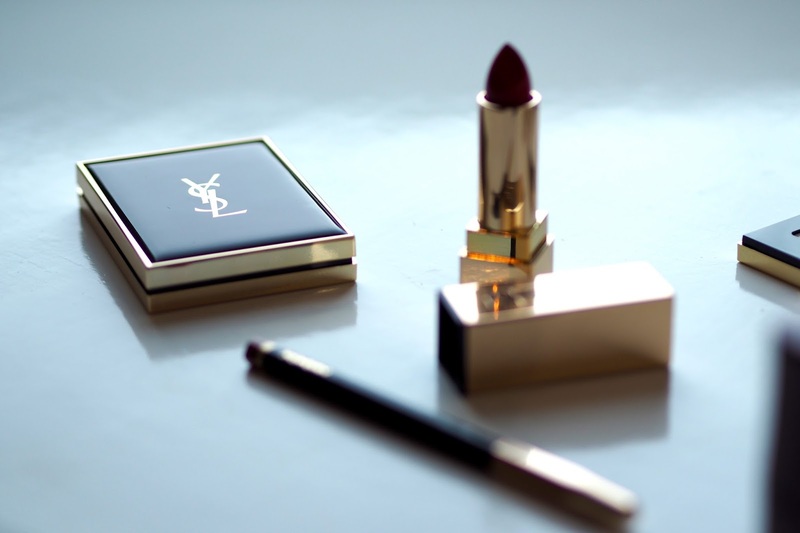 When these YSL goodies landed on my doorstep I could barely contain my excitement. 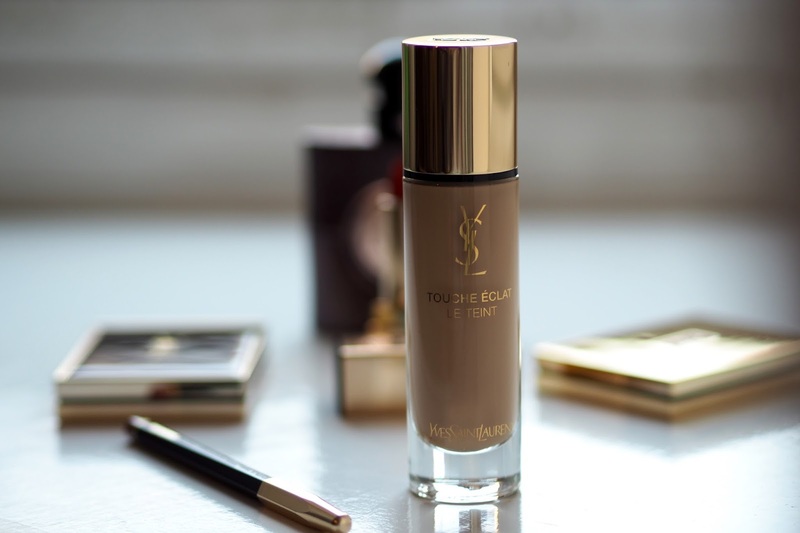 I have been wanting to try the new YSL Touche Éclat foundation for a while now. The key difference in formula compared to its original counterpart is that it boasts greater coverage whilst still remaining lightweight and light reflecting, with a longer staying power. It sounds like a miracle in a bottle if you ask me. I have reviewed all of the products pictured above, so if your interested keep reading. Please note that this is not a sponsored post and all views are my own. 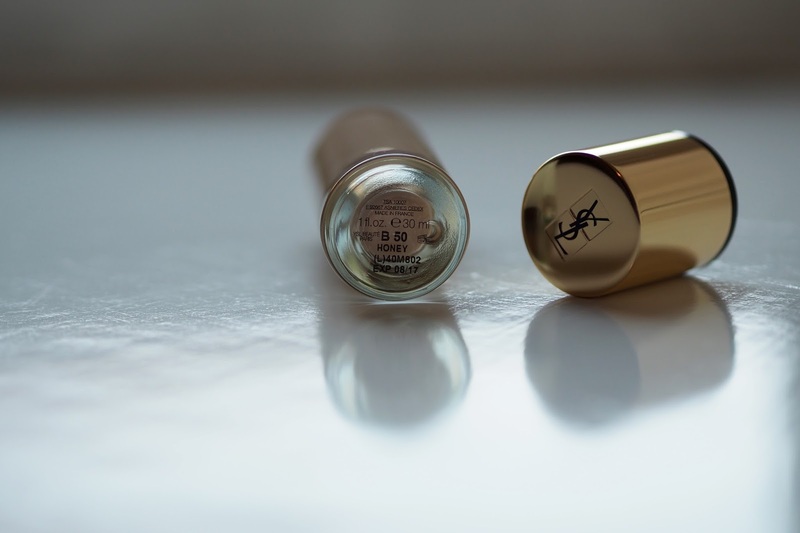 As a lover of the Touche Éclat concealer pen I expected this foundation to provide the ultimate radiance for your complexion. Upon first inspection, I really liked that this foundation came with a pump. I applied this foundation onto primed skin with my Real Techniques miracle complexion sponge. 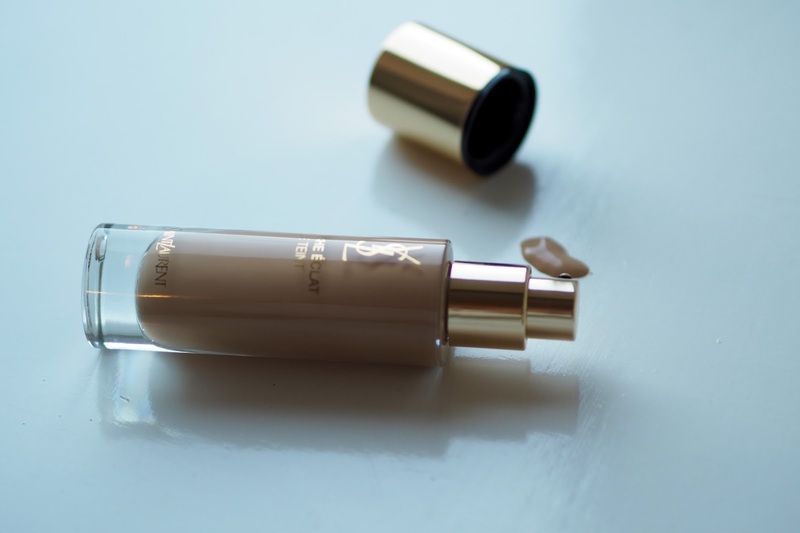 What I noticed immediately was how lightweight the formula was in consistency and it glided onto my skin like a dream, whilst achieving a fuller coverage which I opt for in a foundation. For blemishes, this did need a more build able coverage but this was done without looking caked. Overall, this foundation left my skin looking radiant and awake. It really is 8 hours sleep in a bottle. I would also say that this foundation can be worn for both day and night as you can definitely build up the coverage as desired. With 22 shades to choose from I am sure there is one for you. I would say my daytime shade would be Bisque (shade 45) and for a more bronzed/night time foundation I would opt for Honey (shade 50). At a retail value of £32.50, it is on the pricier side as far as foundations go, but you can't put a price of quality skincare in my opinion. 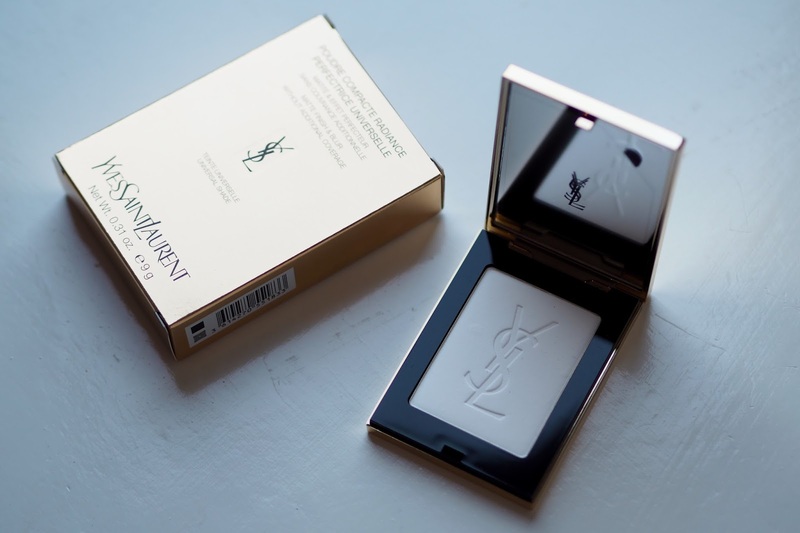 This transparent pressed powder claims to perfect the complexion without adding any additional coverage. It's sphere-shaped micro beads set makeup while mattifying and evening the complexion. Personally, I always opt for a transparent setting powder as I prefer to not have any additional coverage or the feeling that I'm wearing too much makeup on my face. This is a great powder that compliments the Touche Éclat foundation very well I might add and it also minimised my pores. 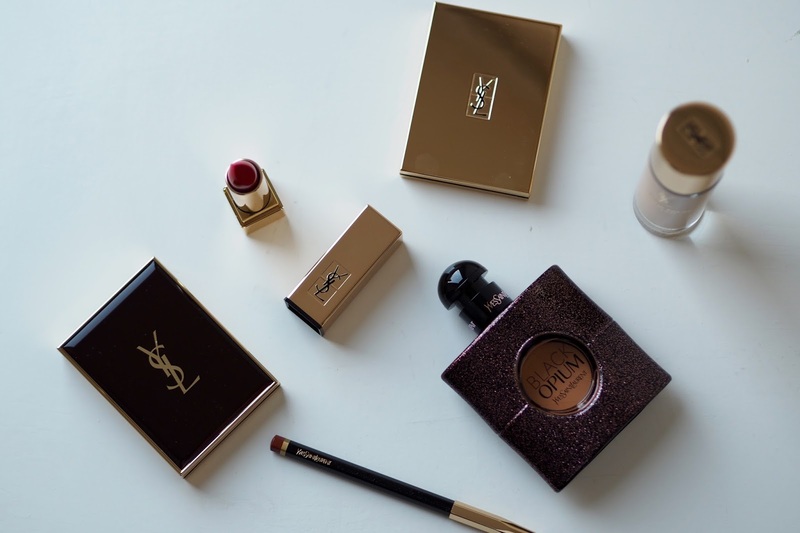 The only problem you will have is not wanting to touch the beautiful YSL imprinting. I know I certainly didn't. With naturally very pigmented lips, I find that red lipsticks are my lifeline. I usually swear my Mac lipsticks so I was very keen to branch out. At first glance, the lipstick appeared very Matte which I was slightly hesitant about. 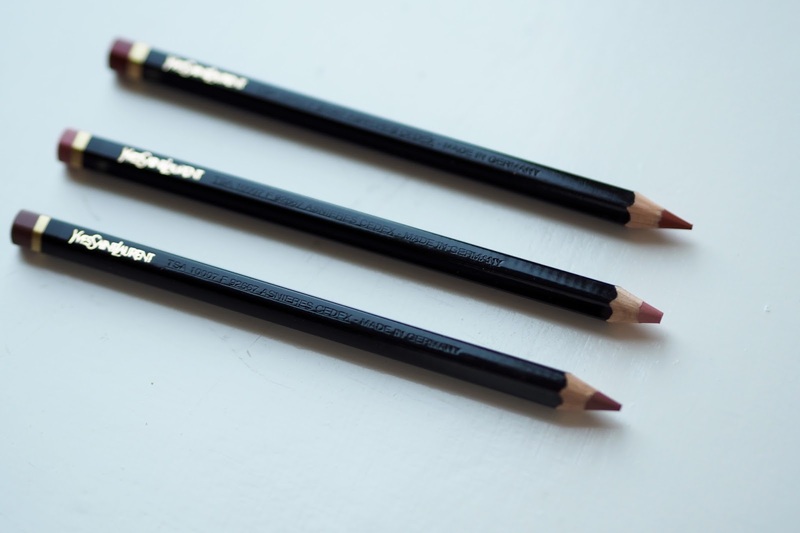 Especially in the colder months I prefer a more satin finish and something that feels more moisturising on my lips. Upon applying 'Bordeaux Fatal' (shade 68) it was instantly moisturising, to my surprise and felt almost like a lipgloss which I loved. 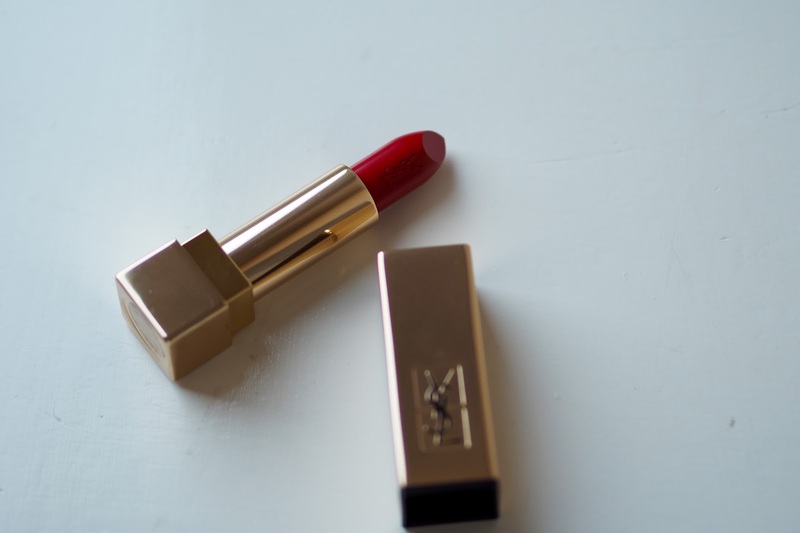 The dark red, with almost hint of berry tones had excellent staying power and kept my lips feeling moisturised for hours. Not to mention the packaging looks amazing and will definitely find a place in my evening handbag. Where do I even start with this perfume. To sum the scent up in one word: amazing. With top notes of pink pepper and orange blossom, base notes of vanilla, patchouli and sandalwood this perfume also includes a touch of jasmine and coffee. Overall, this perfume is very sweet in scent almost resembling cotton candy. I appreciate this scent might not be to everyones taste but I absolutely love sweeter smelling perfumes and cannot wait to wear this more, not to mention it adds a bit of rock and roll to my dressing table. 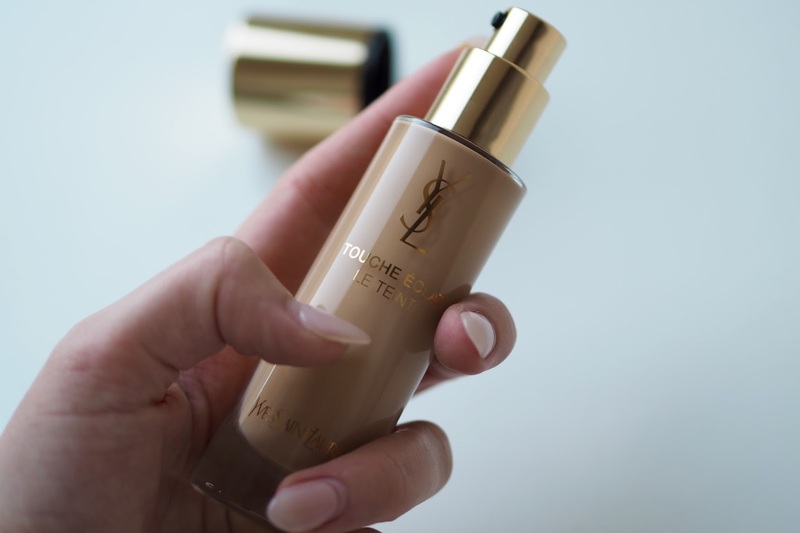 I adored the original formula of the Touche Eclat foundation, so I can't wait to try the updated version! 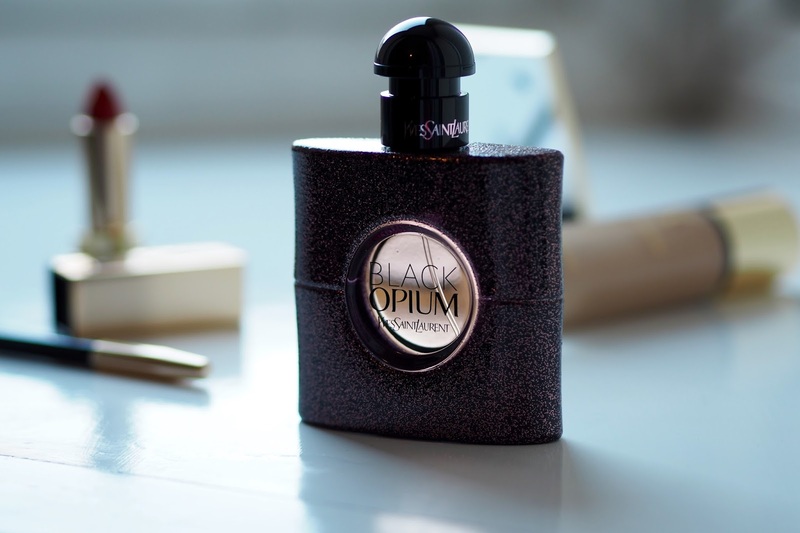 Black Opium is one of my absolute FAVES! It all looks so beautiful, I love the pictures! A great beauty review. I like all of this collection. 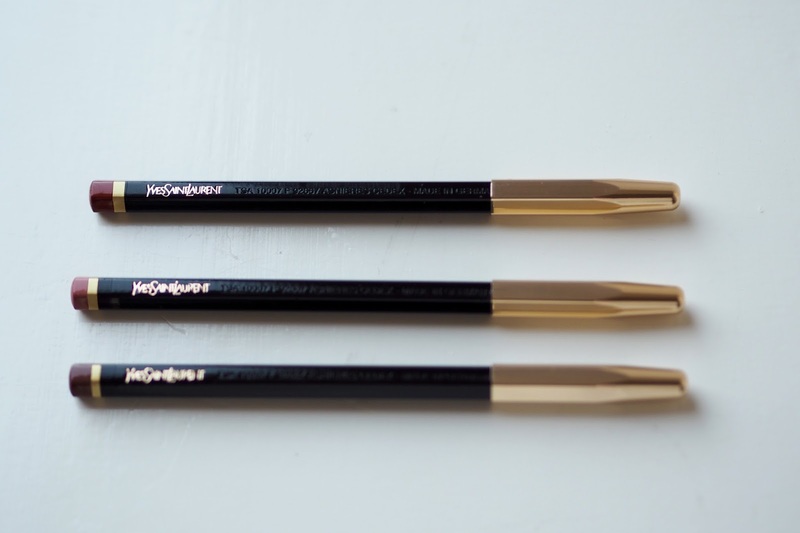 I need some eyebrow collection.